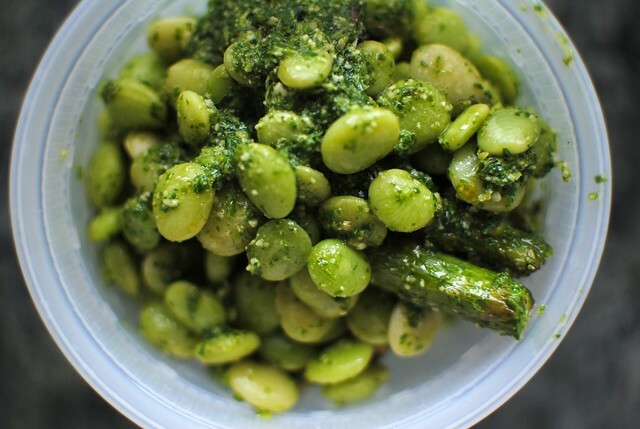 butter bean & arugula pesto salad. After those cinnamon rolls, I think we could all use some vegetables in our lives. 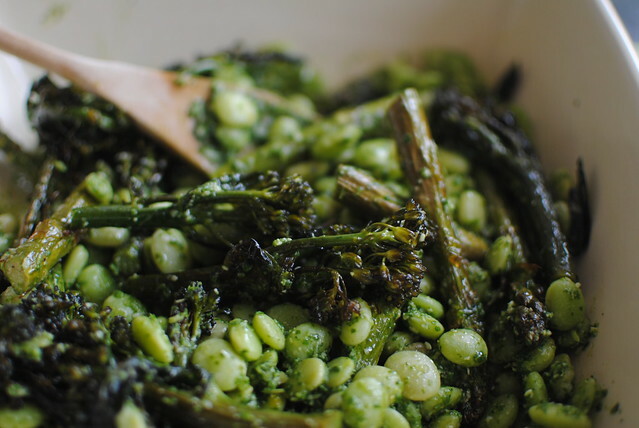 Fortunately, there are four vegetables in this dish and even better, they are all green: butter beans, arugula, baby broccoli, and asparagus. This is something you could make a big batch of and eat every day for lunch, or serve chilled as an appetizer at a schmancy dinner party. It's pretty, healthy, and delicious. What more could you want? 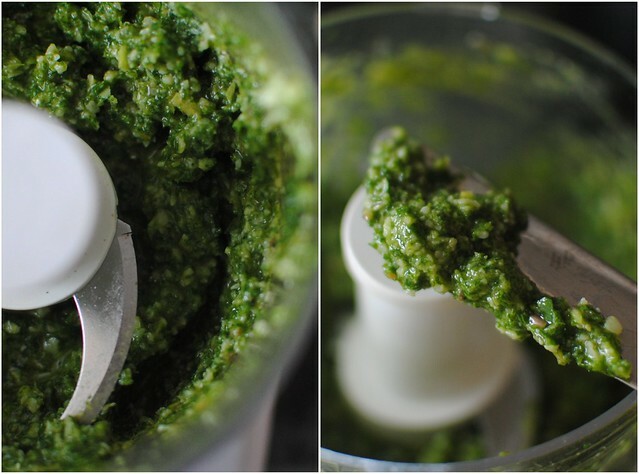 Arugula Pesto: In a food processor, combine a few handfuls of arugula, about 1/3 cup grated Parmesan, and as much olive oil as it takes to get the right consistency (probably about 1/2 cup). Add the zest and juice of one lemon, salt and pepper to taste. I didn't add pine nuts (because I didn't have any), but they would work too. 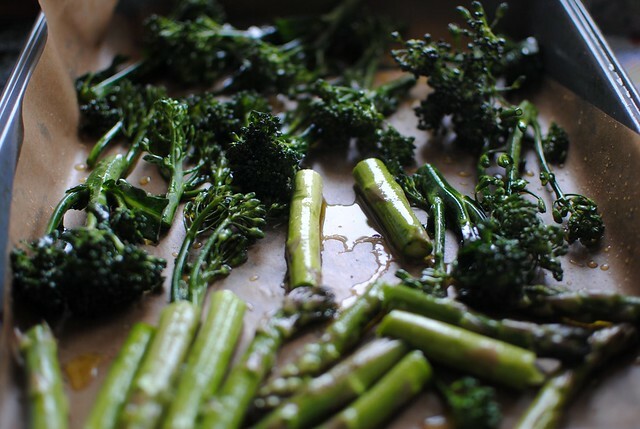 Baby Broccoli and Asparagus: Coat in olive oil, salt and pepper, and roast on a sheet pan at 400-450 degrees until slightly brown and crispy, about 15 minutes. 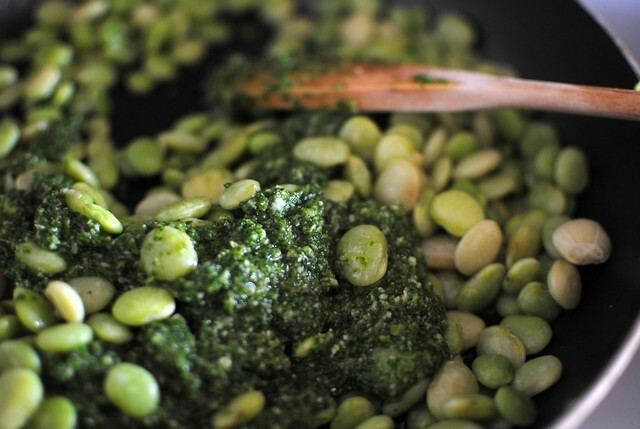 Mix everything together, and you have butter bean and arugula pesto salad.